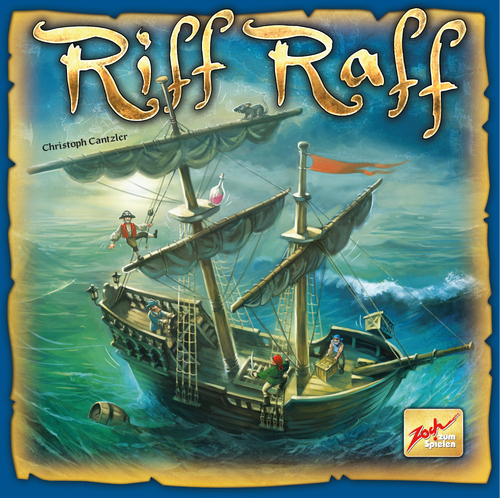 Late yesterday night we unboxed and played Riff Raff, a clever dexterity game of balance on a ship amidst the stormy sea. To say the game is a riot might be a bit of an understatement. 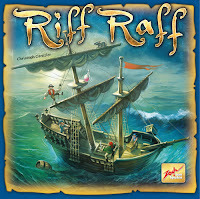 And through some simple but clever use of cards to bid for turn order and location, this game feels different enough from every other balancing act out there. Thanks to my father who informed me regarding this weblog, this weblog is really awesome. sup with the spam comments lately?